Mr. Charles Cade Pratt, 75, passed away on January 28, 2019, in Ft. Walton Beach after an extended illness. He was a resident of Mary Esther, Florida. Charles was born on November 16, 1943, to Catherine Cade Pratt and Harry Benney Pratt in Urbana, Illinois. He married Medora Christine Posey Pratt of Blanco, Texas, on June 15, 1968. In 1962 Charlie graduated from Alamo Heights High School in San Antonio, Texas. He graduated from Southwest Texas State University in 1966 where he studied Business Administration and was a member of Pi Kappa Alpha Fraternity. Charles and Christie made their first home in San Antonio before Charles pursued promotion opportunities in Atlanta, Georgia. With twenty-five years of service, he retired from ITT Consumer Finance in 1992. 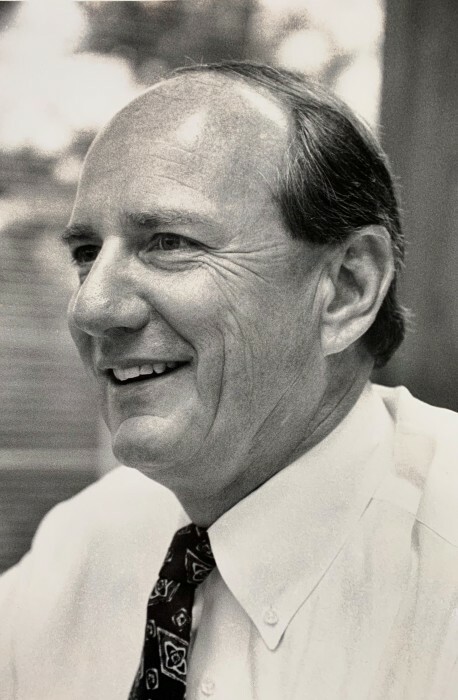 Charles later served as the CEO and Chairman of the Board of the Blanco National Bank. Some of his fondest memories included ranching, hunting, golfing, boating, and fishing. However, his greatest joys were those moments shared with his family. Charles is survived by his beloved wife of 50 years, Christie Pratt, and his brothers, Ben Pratt and George (Suzanne) Pratt of Texas. He is also survived by his daughters, Cristen (Clint) Herring and Carolyn (Jon) Wilson of Auburn, Alabama. Known as “C.P.” to his “Grands,” he adored Cara, Gracie, Charlie, Cate and Jon Cade. His family is forever grateful for the love and support received from family, friends, and faithful caregivers. To support Alzheimer’s research and promote the search for a cure, Mr. Pratt’s body has been donated to the College of Medicine at the University of Florida. Memorial contributions may be made in his name to UF Health Shands Hospital by mailing The University of Florida Health Office of Development, P.O. Box 100386, Gainesville, Florida, 32610. Please indicate that your gift is directed to the Center for Translational Research in Neurodegenerative Disease Fund (# 017383) in memory of Charles Cade Pratt. A private memorial service was held at Trinity United Methodist Church in Ft. Walton Beach, Florida, to celebrate his life.